Seattle Film Institute 3210 16th Ave W, Seattle, WA 98119 (just north of Dravus across from the QFC). – want some help crafting/orchestrating a great piece? – have a great piece but want some help making it a great-sounding recording? – have a bunch of great-sounding recordings but can’t decide which is best? – want to help your fellow composers make the best Demos they can?! We’ll be using a MacBook as our AV hub, so please make sure your thumb drives are formatted for Mac. We’ll also have internet access if you want us to look at something on SoundCloud, YouTube, etc. 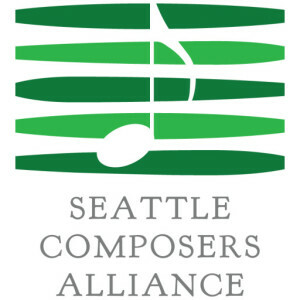 The Seattle Composers Alliance is hosting a score show-and-tell (derby) at the Seattle Film Institute [SFI]. This event is free and open to anyone who’d like to talk shop, meet local composers, and witness their work. Filmmakers! Please join us for this rare opportunity to meet local composers and gain a deeper knowledge about what composers do, why we make certain creative choices, and the sheer value that a composer can bring to your film. Film Composers! You will be given an opportunity to demonstrate a cue (or two, depending upon the length of your work and number of presenters) followed by a brief Q&A with the other attendees. Please bring your work on a flash drive or have your URL handy. Pure Music Composers! The main thrust of the SCA Derby is music for video, but we welcome pure music as well. You will be given an opportunity to demonstrate a piece (or two, again, depending on the aforementioned factors) followed by a brief Q&A with the other attendees. Please bring your work on a flash drive or have your URL handy. There will be a sign-up sheet at the event for those wishing to show – first come, first show. Generally, you will be allotted about 10 minutes – save some of that time for Q&A! If you miss a slot for this one, you can reserve your spot for the next derby.